I've been to New Zealand multiple times now, and yet I'm still constantly learning new things about it. Even though the country may not be as “exotic” as other destinations around the world, it still has characteristics and quirks that many people may not be aware of. Sure, you probably know that Kiwis (AKA New Zealanders) drive on the left, love rugby, and have a lot of beautiful scenery to look at. But do you also know they were the first to give women the right to vote, or that the country only has one native mammal? I didn't. So, allow me to shed some light on some things you may not know about New Zealand. Before settlers began arriving, the country had only one mammal — a bat the size of your thumb. Most of the country's native fauna come in the form of birds, and many of the native bird species in New Zealand are flightless (like the kiwi, , weka, and kakapo) because there were, historically, no large land predators to endanger them. When Europeans arrived, however, they brought with them invasive species like possums, stoats and rabbits that threatened a lot of the native birds (which is why many of them are now endangered). 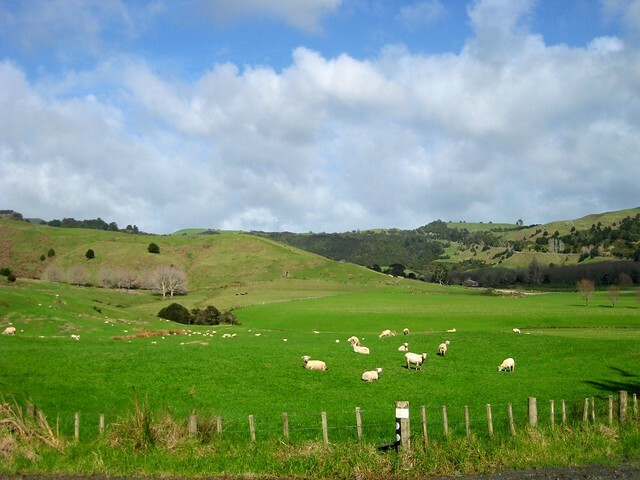 There are roughly a little over 4 million people in New Zealand, and about 30 million sheep. You'll find sheep farms all over the country, including huge sheep stations (where they farm thousands of sheep) on the South Island. Because of the large number of sheep, you can find lamb and mutton on just about any menu in New Zealand – including the one at Subway. The number of sheep in New Zealand has actually dropped, though. Dairy farming is on the rise (in fact, New Zealand is the world’s largest exporter of dairy products! ), and New Zealand also farms deer for meat (NZ venison is delicious!). Yes, the first man to summit Mount Everest was a Kiwi. Quite fitting, isn't it, considering New Zealand's claim of being the “adventure capital of the world”? Hillary is even on the NZ $5 bill. Other famous people from New Zealand include actors Russell Crowe, Sam Neil and Anna Paquin, and director Peter Jackson. My favorite “first” from New Zealand is the fact that the country was the first to give women the right to vote in 1893. Kate Sheppard, the country's most famous suffragette, is now on the NZ $10 bank note. Another fun “first”? The town of Gisborne on New Zealand's east coast is said to be the first city to see sunrise each day! While English is the predominant language spoken in New Zealand, Maori is also an official language, in honor of the native people that originally inhabited the islands. And, as of 2006, NZ Sign Language is the country's third official language. Way to go, NZ, being one of the first countries to do this. Want mountains? Beaches? Volcanoes? Rainforests? You'll find all of it (and more) in New Zealand. The country is amazing for the fact that you can drive for 4 or 5 hours and experience so many different landscapes and climates. There are deserts near snow-covered volcanoes, and glaciers that descend down through temperate rainforests. Crossing from one side of the Southern Alps to the other can mean the difference between 2 meters and 8 meters of rainfall per year. Even though New Zealand has a ton of different climates, the country is shaped so that nobody living in the country is ever more than 120 kilometers from the coast. Granted, that coast (which stretches for more than 9,300 miles!) changes drastically depending on where you are in the country. But you'll never be far from it. The word “kiwi” refers to three different things in New Zealand. First, there's the nocturnal flightless bird with the long beak that's one of NZ's most famous native species. The people of New Zealand have also been nicknamed “Kiwis.” And then there's the kiwi fruit, which, yes, you'll find all over New Zealand, even though technically the fruit came from China! Even though some Vanuatu tribes have been jumping off high structures with vines tied around their ankles for decades, bungee jumping in its current form began in New Zealand in the 1980s. 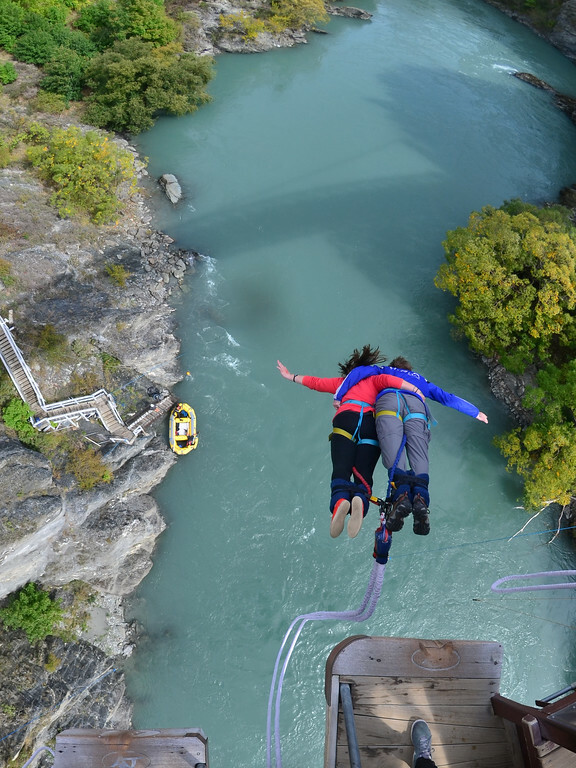 AJ Hackett designed the elastic bungee cord, and began bungee operations off the Kawarau Bridge in Queenstown, New Zealand. New Zealand is run as a form of parliamentary democracy, and is part of the British Commonwealth, meaning it is technically still tied to the Queen in England. Unlike the British government which has two governing houses, however, New Zealand only has one – the House of Representatives. They have a Prime Minister, and also have a truly representative form of government, with all of the country's active political parties being represented in Parliament. This is one New Zealand cruise worth taking. Going out for dinner in New Zealand? No need to leave a tip like you would in the USA. Either it's not expected, or it will be automatically tacked on to your bill as a service charge. This goes for taxi drivers, too, although none of them will turn down a couple extra dollars if you offer them in thanks. And speaking of eating out… it's different from what you're probably used to in the US. Servers won't check on you 17 times, and they won't deliver a bill to you at your table. You have to go up to the register to pay, and some smaller cafes won't even keep track of what you ordered; they just trust you to tell them what you ate. New Zealand phased out its 1-cent and 5-cent coins a few yeas ago, which means most prices either end in a 0, or are rounded up. But, this doesn't necessarily cut down on coins in your wallet, since NZ has $1 and $2 coins instead of paper bills. This is kind of a joke I have with some New Zealand friends, but it really would make a great place to hide out during the apocalypse. NZ is a nuclear-free zone. Nearly 30% of the country is protected as national parks. And Kiwis really are some of the nicest, most laid-back people you'll ever meet. Looking for packing suggestions forNew Zealand? Head over to my New Zealand packing list to see all my favorite travel gear! Have you been to New Zealand? Did any of these New Zealand fun facts surprise you? Very interesting! I like these kinds of posts, straight to the point and informative. 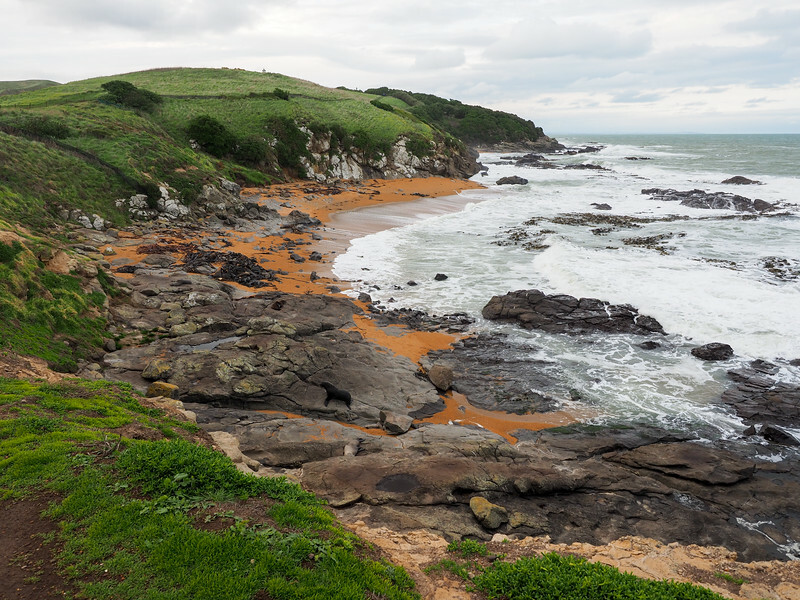 I had no idea New Zealand had no snakes or poisonous spiders – is this my new heaven? And I still have trouble with the no-tip thing. It’s the same in France – your tip is automatically added to your bill, so technically you don’t have to leave any unless you received an exceptional service. But I feel so cheap leaving the restaurant with my pockets full of change! It takes a bit of getting used to. Thanks, Marie! I like reading these sorts of posts about other countries, so I figured why not write one up about New Zealand? The no-tipping thing does indeed take some getting used to… And then, once you get back to the U.S., you have to remember to start again! Haha. these are some of the birds. we have lots, including the Kiwi, our national bird that we are known for (we are called the Kiwi’s). We are also the best at Rugby. We actually have 3 official languages in New Zealand. 1) English, 2) Maori and 3) NZ Sign Language. Thanks for a lovely post. As a migrant of 16 years who now calls New Zealand home, I could not agree more with your thoughts especially the one about Milford Sound. Actually most business policies forbid employees taking things from customers this includes tips. Actually, no tip is added to the bill either. You pay for your food. The wait-staff get paid a regular hourly rate. We’ve never had a topping system. There may have been at least one important New Zealander missed on the famous list, Lord Earnest Rutherford who split the atom was also a New Zealander. In 1893 we were the first country to give women the vote. Also we have some amazing seafood, wines and all of our red meat is grass-fed. You can taste the difference. No hormones allowed. Yes, I love that NZ was the first country to give women the vote! That’s awesome. And the food there definitely tastes better! It made me feel so uncomfortable as a kiwi in the states when giving a tip. In NZ if you give a tip, the waiter will most likely say no, and offer it back to you. If you insist they will express sincere thanks and put it in a communal tip jar for the entire staff and it will get split or spent on something for the crew. Very different. Tips are not a NZ thing, I guess its because we have a minimum law wage which is now at $15.50 if I am correct. This goes up every year and employers who pay below that rate are in breach of the law and are liable to be prosecuted. So many interesting things I didn’t know about New Zealand.. all making it an even more attractive place! Thanks! My pleasure! New Zealand is a pretty interesting place. After reading number 1… Why on earth does anyone go to Australia? Really interesting post, I knew almost none of these facts. Haha, I know, right? I’d take NZ over OZ any day! Oh, there are reasons, trust me. Many kiwi’s move there (I am one of the many) and not solely for reasons of work. Having lived in 4 countries and visited or worked in many others, I think Aussie is one of the best places in the world to live. And yes, I must concede NZ is on that list, but IMHO, not at the top. To get jobs and have a warmer and more diverse lifestyle…..new zealand is the only country in world where its citizens are allowed to live and work full time without a visa and travel unrestricted at will for life .The same for Australians in New Zealand in fact Australians can vote in new zealand elections after staying their for longer than 3months.Australias only country allowed.So the movement of people back and forward is the same as people in your country moving interstate at will. I love reading fun facts about a country. Number #13 and #14 is good to know. I often forget many countries don’t do tips. I like learning random facts about places, too, and I’m glad I’m not alone in that! I could have probably easily made this list a lot longer, but I figured this was a good start! Ah, this is why I love New Zealand. Being from the Uk I hate small change so the dropping of 1 and 2 cents makes total sense. New Zealand is just so damn lovable, isn’t it?? Haha. I love not having to worry about the small change, too. It makes the wallet a lot lighter! It’s great to see what others think of New Zealand. Especially the tipping thing. We don’t even think about that:) By the way, there are actually three official languages in New Zealand. NZ Sign Language is the other one. I’d be interested to see what a New Zealander would find weird or quirky about the U.S.! This sort of stuff is really cool to me. NZ is a social world leader in many ways, as evidrnced by this comment. Not mentioned was the fact that NZ was the first country in the world to give women the right to vote. So, recognising sign language like this comes as no surprise. I’m a big fan of the ‘pay at the counter after your meal’ system. In other places you often wait far too long for (1) the bill to be brought to the table (2) your credit card to be accepted and the slip brought back for signing (3) a waitperson to come back and collect the signed slip. This usually happens when even after a good night and nice meal you want to be on your way out of there. Much better to just go to the counter when you’re ready! It really does make a lot of sense! You are free to end your meal as quickly or as slowly as you’d like. I don’t think it would work in the US though… haha. I have found one restaurant in Houston, Texas that I paid at the counter after my meal: Quan Yin Vegan Restaurant. There are a few places here in Florida where you pay at the counter after you eat . I didn’t know any of the facts listed here! I’m ready to go if there aren’t any poisonous critters. I still love the fact that people actually stop when you cross the street. Thanks for sharing all these wonderful facts and including the amazing pictures. The lack of lots of creepy crawlies is nice, and you really can’t beat the scenery! I’m glad I could share some things you didn’t know about NZ. This is what travel is all about, isn’t it – learning new things about far-off places? Thanks for reading, Debbie! we do have the weta though haha don’t like them at all! Haha, fair enough! At least they aren’t poisonous, though! I live in Seattle where cars almost always stop for you in crosswalks like that. I’m from the Mid-West like you are, and was pleasantly surprised by it when I moved here. When I visit family in Illinois I always stop for pedestrians and always worry about being rear-ended. The Mid-West is a very pedestrian unfriendly place, the West is much better in that respect. I also work as a waitress in the U.S. and would love if the gratuity was already included on the bill or we would be paid a higher wage instead of minimum wage which is entirely unlivable. Never having any idea of how much money I will make is very stressful. And I guess you didn’t hang out in AKL too much, because I have never seen a city (maybe except for NYC) where cars don’t stop for ANYONE! There are accidents allllll the time of cars hitting people. My reasoning is because hardly anyone lives there, they just aren’t in the habit of looking out for people. I flipped so many birds to drivers coming so close to peds, it was insane! No, I spent no time in Auckland at all on this trip. In fact, I’m not really a fan of Auckland at all (and it’s not just the Wellington bias in me talking!). To me, Auckland is no different than any other city in the world. It doesn’t have a distinct NZ character about it. And, apparently, it has the same “rush rush rush” mentality that any large city would have! In NZ, if someone indicates to change lanes, in all likelihood, any sign of a gap in the traffic will disappear as drivers speed up to close it. Things may have changed now, but I still consider ‘us’ to have appalling road manners. I live in Houston and see both the situations you described: people resent your desire to “intrude their space” or some will offer you the courtesy if they think that is what you are doing. In Maryland so many pedestrians have been killed it’s ridiculous. I myself don’t drive and have to walk places and I abide by the traffic light and crosswalk. The big thing here is a lack of patience,need for speed,texting while driving, drunk or on drugs nonsense like that. I have seen pedestrians cross against the light,not pay attention, and cross at the wrong spot all at the same time or one of the other but mostly drivers preoccupied with their damn phones . Haha, you’re not alone there! NZ is appealing to many people for that same reason. This made me ‘homesick’ for New Zealand. I knew most of this (although kudos to them on the sign language thing), but the photos? Love that country. It makes me “homesick,” too. 🙂 And as for the photos, there are plenty more to come! Wait…adventure, no snakes, no tipping, fantastic scenery and sheep? Sign me up! Haha, yup, that pretty much sums up New Zealand! #6 There’s a range of climates. that is why I love New Zealand – it so small but so different. I’m not sure you can find another country as diverse in landscapes as New Zealand. Perhaps the US… But when you do a size comparison, NZ certainly packs the most punch! Interesting! I haven’t been there but enjoyed learning some new things about NZ and looking at your beautiful photos. Milford Sound is stunning! And I love that NZ adopted their sign language as an official language. Thanks, Jenna! New Zealand is full of surprises — I didn’t even know about the sign language at first , but I agree that it’s awesome that it’s now one of the country’s official languages. 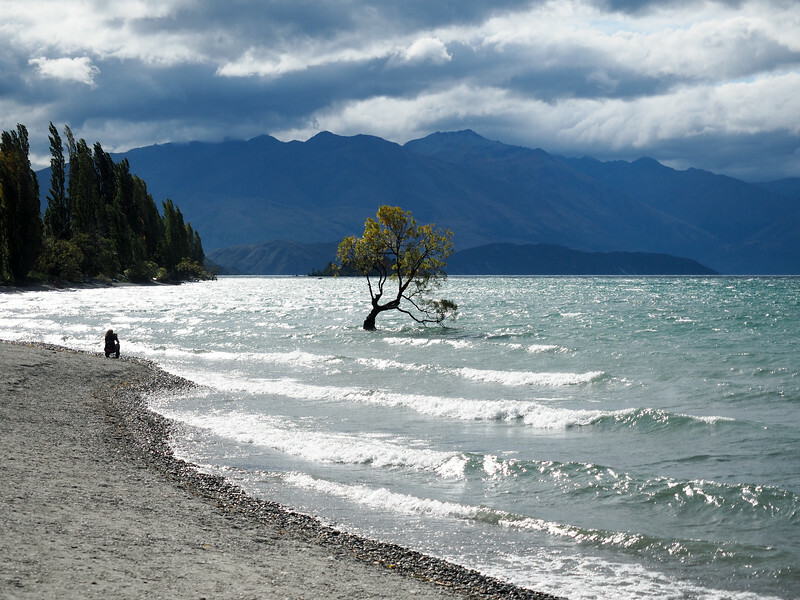 And just about all of NZ is stunning — but Milford is definitely special. I definitely have to get there someday. Honestly, I didn’t think much about it until I saw a friend’s pictures and read stories from you and other travel bloggers who absolutely love it there. Haha, well then maybe it’s even more impressive that the pedestrian crossings work so well! And I’m with you on falling in love with NZ — I’ve been to a lot of places, but nowhere that I love quite as much as New Zealand. Very cool!! Thank you so much for posting this 🙂 It was really interesting. I love reading such great testimonials about the country I live in. haha wow. this was really great, thanks for posting. I’m moving to New Zealand from Norway with my wife in just three days time now. Good to know about the tipping, as it is different in every country i visit, and quite serious for some people apparently if you do it wrong. ha ha. Well hopefully this was a nice and fun intro to NZ for you! Good luck with the move! You are welcome! have fun in NZ! New Zealand has one brand of poisonous spider – The Katipo. It is similar to the australia red back and american black widow . The katipo has a long red stripe down its back and its bites have been fatal (athough the last known death was reported in about 1845) an anti-venom is avliable in all hospitals. However the katipo is very sporadicly found and your fortunate enough to find one theyre normally found on the sea-shore under driftwood or on sand-dunes. I didn’t know that! So New Zealand DOES in fact have at least one creepy crawly that can kill you! We have the white tail spider as well. We are pretty lucky we don’t have poisonous things. how dare you put up that you dont have to tip????? you may be riight but all the jobs you would tip for in other countrys ARE VERY LOW INCOME JOBS and these people give exceptional service for often minimum wage. thanks for wrecking one of the few bonuses that waitstaff in NZ have! how inconsiderate of you!!!!! Yes, you are right. Even up until my last trip 4-5 years ago, tipping was STILL not formally done. That said, I always tip for good service. Plus NZ’ers can be embarrassed when overseas – esoecially in the US. Being from a non-tipping country, they simply do not realise it is expected to the point of being socially mandatory in some countries. These people are not mean, they simply do not understand. You are absolutely right – tipping is NOT required or expected in NZ and it is NOT automatically included in your bill. This; I do a good job so I should get more – is nonsense as every employee is expected to perform at their best or they will soon have no job at all. As is the case in any vocation in NZ. They are paid appropriately for that job. Any disgruntled staff have process they can access to address that through their employer or union. I’m a Kiwi born & bred and fellow Kiwis never tip at home, it is an oddity only seen when visitors are here. It has never been a part of NZ culture, it is not expected so you do not need to feel as though you should. Often an offer of a tip is gratefully but politely declined. What you can expect though is excellent, friendly service (always) fabulous food and a great time. No strings attached. I know I’m replying like two years late to this, but thank you for explaining this properly so people understand. As someone from NZ, just the idea of tipping makes me uncomfortable. Personally (and this may be a kiwi thing) I don’t like to be waited on. I prefer to just sit down and eat my meal without someone constantly checking if I’m okay. And having to sit around after my meal and wait for the bill is just inconvenient. We definitely do hospitality a far more common sense and comfortable way. And a famous actress born in New Zealand is Lucy Lawless, the woman who played Xena Warrior Princess. One day I wish I could visit NZ, thanks for information! Oh yes, we can’t forget about Xena! Awesome! Wellington is my favorite city in NZ. I hope they enjoy it! i lived in new zealand for two years. the best place i’ve ever been. the people, the atmosphere, everything just fall into the right places. I am originally from Brazil, but have lived in New Zealand for 23 years. I am in the travel industry so I do travel quite a bit. Love to travel, but the best part is to get back home to New Zealand. The air is fresher, crispier and lighter. A truly gorgeous and blessed little country. May God continue to bless it. It certainly is a special place! Hi Katia, I am from Curitiba, and planning to visit new Zealand , back pack style! Any tips? Hey John! New Zealand is an awesome place to back pack in! Very safe and tourist-friendly. My biggest tips would be to bring more money than you think you need (because things are quite pricey here! ), and to never underestimate how quickly the weather can change – be sure to pack some layers! Hi – Found this very interesting! Great to learn things about different countries. New Zealand has my type of weather and NO snakes – Would be difficult not to tip when you come from a tipping culture! Have friends and family who have settled there – very happy. As a South African, the Kiwis and Aussies are rugby arch rivals! Ah yes, huge rugby rivalry there! NZ is great. And, the tipping thing is slowly starting to become a part of the Down Under culture, too! Great write-up! There are so many similarities between NZ and Ireland (e.g. no tipping, no snakes, population, landscape) – thinking of moving to NZ from Ireland, where I’ve been studying social work (originally from Chicago). From what I’ve heard, the Wellington area has a bit more culture than Auckland, but unfortunately most of the jobs are in Auckland! Anyhow, thanks for sharing this. Yes, I can definitely see the similarities between NZ and Ireland! Yes, I agree that it’s very nice! Hey, no snakes and few spiders is a , but…. Have you ever heard of “scrub typhus”? Hello, headache, fever, groin lymph nodes measured in “golf ball” units. Quizzical looks from North American physicians define this disease that is transmitted by mites in the soil. Undiagnosed, trouble. Diagnosed, weeks of Doxycycline, and eventual recovery. Lived it, diagnosed it, treated it, recovered from it, and now just here to let the unsuspecting NZ visitor know that it is what is generally known as a rickettsial disease like Rocky Mountain spotted fever only for Oceania and Eastern Asia. By the way, immigrating in 7 weeks to Whangarei…what can I say? I love lymph nodes that are big enough to wear a pork pie. I like this list. Was born in NZ and lived there nearly 30 years before emigrating. I would also have mentioned the Marlborough Sounds as incredibly beautiful, though having lived close to Fjordland, cannot disagree with your list and comments. I think you will find the katipo spider is more common than you imply too. And another fact (sorta) about wildlife and insects… the NZ weta is native, with only cave weta’s existing on a few nearby islands. But, nowhere else. And why is this relevant? Well, in my opinion they are the ugliest thing on this planet, even uglier than my ex-wife 🙂 The weta is not merely grotesque, but can inflict injuries from its barbs on the rear legs, its bite which can be poisonous, not from injecting poison but due to the timbers it eats. forming a poison when mixed with its saliva. Snakes do not bother me, but I will run screaming from a weta. Well, almost. Finally, we were taught in school that in geography there are 7 fundamental terrain types, such as mountain ranges, deserts, fjords, etc. Do not recall them all. However, NZ is the only country that has all 7. Am led to believe this is true, and you may consider mentioning it (if you can find evidence supporting the claim). Cool fact about the terrains! I will definitely have to look into that one some more. I love New Zealand with a passion. I have crawled / slithered into many caves in the Kaweka ranges in Hawkes Bay, North Island which were home to many wetas hanging on the roof and certainly never been bothered by them. They are a species the average tourist would never come across. Kiwis still leave their handbags in their local supermarket trolleys while they wander off to look at goodies. Seldom is anything stolen. ( I don’t recommend this as there will sure to be one bad apple in the box). Hi Akatuki, but what about the earthquakes? Are they common? They ARE actually pretty common, but they are usually so small that you don’t really feel them! Well I’m from the US, so NZ crime statistics are nothing compared to what I’m used to! Haha. I’ve always felt safe traveling in New Zealand – it’s a pretty laid-back place, and I feel like the smaller cities especially would be great for raising kids. My perspective of the US of A is simply that it is HUGE and there is massive potential for debauchery and mayhem to be had should you so desire it. Strangely, coming from a country of great natural beauty, I would be most interested in exploring the natural wonders and getting away from civilization rather than immersing in the metropolitan culture – I’d be eaten alive for my utter naivety and gullibility, I imagine! Loved this and am going to save it to send to wwoofers when they email me. I am currently corresponding with a young girl from America and you’ve answered quite a few of her Q’s and then some ..
Whitetail spiders while not deadly can make you quite ill and a bite can leave permanent scarring. In everyday life in northland NZ I would see at least one a week,they are and Australian import. I’ve heard lots of New Zealanders describe the country as divided into two parts: Auckland, and then the rest of NZ. Haha. Living in middle Tennesse, we are covered up with some pretty bad animals: rabid mammals, brown recluse spiders…as well as black widows, ticks, chiggers (aka, redbugs), wasps, hornets, yellow jackets, and bumble bees, rattle snakes, copper heads, water moccasins, and fleas and of course mosquitos. So, these things I say to all of you…who want to visit: the country side can be…ah, challenging, but the people, food, music, and landscape is without reproach. We welcome you all, and…I think I would do fine in New Zealand. ..looking forward to visiting. hi Akatuki, I am planning to move in to New Zealand. can you tell me are you still living in NZ? I am moving with my two kids 3 and 2years old and they are used to a Singapore Climate. like 28 to 33 degrees how about the weather in Auckland and entire NZ?. does the weather cause many Flu and cold for Kids. Also regarding the spiders, do they visit home more often? or only when I go outside I need to be aware of them so that i dont get biten by them? Hi Antony! No, I’m afraid I haven’t lived in NZ since 2008, and I don’t have any kids so I’m probably the wrong person to try to answer your questions! The weather on the North Island is the warmest in New Zealand, but it will still be colder than what you’re used to. And there aren’t many spiders in NZ – you have to worry about them more in Australia! The climate in NZ is cooler than Singapore and generally less humid. Auckland weather is famous for its variation (Split Enz wrote a song about it called “Four Seasons in One Day”. It can be sunny in the morning, rain before lunch, sunny again in the afternoon and then rain again for dinner. Temperatures can fluctuate as well. But the weather is quite fair in Auckland and I don’t think your children will have any problems adapting as necessary, especially given their young ages. Spiders, there are really only two spiders that are poisonous in NZ one is the Katipo and the other is the Australian Flat Huntsman spider (thanks Australia). But you almost never see these spiders, to find one in your home or even in the wild almost never happens. You should also know that in the past 200 years of recorded history, there have never been any recorded deaths from either of these spiders in NZ, so I think you are very safe. I am sure you and your kids will love NZ! New Zealand is the greatest country in the world for sure. The people are generally friendly and will open their homes to complete strangers. Their hospitality is second to none. So many things and places to see and do. As mentioned, no poisonous snakes, and also no bears, no tigers, lions, alligators, cougars, (well a few 2 legged ones maybe), panthers, crocodiles, dingos, or pretty much anything that could quite happily kill you or eat you. The climate is temperate allowing for great outdoor activity experiences such as hiking and camping. Great snow in certain parts of the country allowing for skiing and snowboarding. Beautiful lakes and rivers allowing for any and all water sports. Generally tips are not included in the bill, (although sometimes a service charge may be), but there is often a tip jar on the counter and is much appreciated by all the staff if you leave a small donation. Culture abounds in New Zealand, especially in Auckland and Wellington. Fantastic food, restaurants and cafes are everywhere to be found. Amazing hills and farmlands, not to mention the beautiful nature and scenery found the length of the country. A few other fun facts…some famous New Zealand inventions include the tranquilizer gun, the electric fence, the jet-boat, ski-planes (those used for landing on snow covered mountains), referee’s whistle, zorbing (google it), the jet-pack, No.8 fencing wire, blokart (blow-kart), jogging (in the manner as used for athletes to increase stamina – google Arthur Lydiad), flying (in a plane – yep, they did it before the Wright brothers, google Richard Pearse), the disposable syringe, eggbeater and the spiral hairpin are also all kiwi inventions. As someone has mentioned above, New Zealand was the first country to allow women to vote, they were also the first to split the atom, created the world’s first state pension system, first to set foot on Antarctica, first to break the 4 minute mile in running, first to win the rugby world cup, first to win the rugby world cup twice consecutively, first and only country to win the rugby world cup 3 times, first to introduce free milk to all school students (though this has long ago ended) and the first ever solo flight from England to NZ (Jean Batten). Some other famous Kiwi’s (other than the ones mentioned by others above), include….Gina Bellman, Martin Henderson, Cliff Curtis, Keith Urban, Zoe Bell, Rachel Hunter, Jane Campion, Jean Batten, Sir Russell Coutts (won the America’s cup yacht race 5 times), Jonah Lomu (professional rugby’s first superstar) and Lorde. Not bad for a country of less than 5 million people in the middle of nowhere. Thank you for sharing. Could you say a little more about the job market there, in relation to people with Bachelors in Accountancy. It would be very much appreciated. Akatuki, thanks so much for creating this brilliant blog! 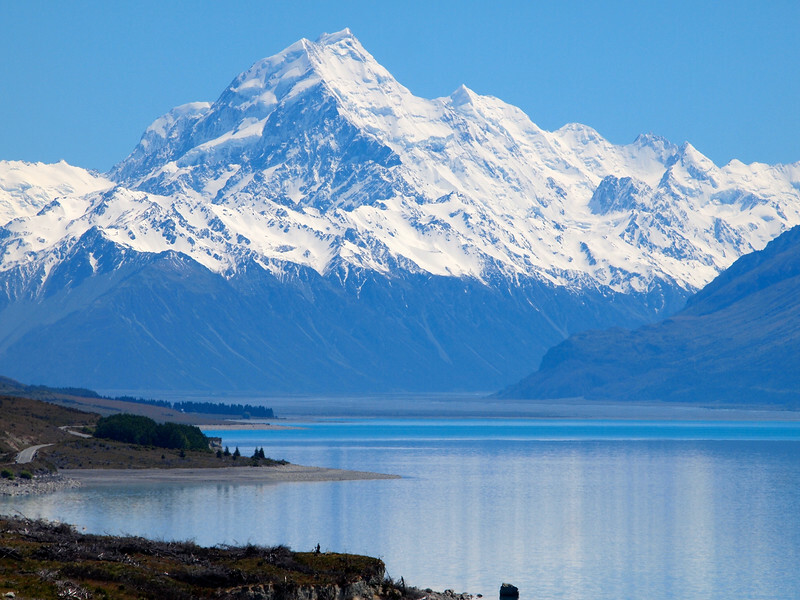 Your posts have been exceedingly helpful in planning my upcoming New Zealand trip. Keep up the great work! I’m a bit worried I will forget to tip though! I read that waitresses and others need them because their hourly rate is low and that is how they make their money, is that correct? Here we just get paid a flat hourly rate and everyone gets the same. Also I find it strange that you leave your money on the tables! I’m looking forward to experience these differences, even though our two countries have a similar western culture. I am also excited to see the animals in America because like you said above, we don’t have many. I adore snakes and spiders so its ironic that I grew up in one of the few places that don’t have any/many. Glad you enjoyed your time in NZ! I hope you have an amazing trip, Katie! And yes, it’s true that in the US servers do not make minimum wage and rely on tips for their income. I was a server quite a few years ago, and was only paid $2.85 per hour (when the normal minimum wage in my state was $8 an hour). That’s why it’s expected for people to tip in the US! Hi Katy, my family is thinking about moving to NZ. We live in NY but trying to find somewhere nicer to raise our kids. How are the education systems there? Especially special education. Also the job market for persons with an Accounting degree (Bachelors)? I’m from the UK. People here cross anywhere they want to and that’s accepted. Once a pedestrian is in the road they have right of way. I’m interested in moving to NZ this year or next. The only thing that concerns me is the danger from volcanoes and earthquakes. Some websites make it sound like the country is on fire and shaking and exploding. But, obviously people still live there. How realistic are these claims? We like the UK, but don’t like the direction it’s heading. Thanks for your reply Akatuki. That’s quite reassuring. I’m leaning towards NZ. I love skiing, watersports, cycling, hiking, football (unfortunately, as I understand rugby is the big sport there). As a family, we want to get away from all the work stress and “I’ve got more money than you ” attitudes etc in UK and Europe. We want a good work/life balance. Quality of living is our main priority. We will also be bringing our cat (expensive and not straight forward!). Erm, oh yea. I’m thinking the south island might be the safest. But where would suggest is a good place that’s geologically safe (ish), good accessibility to shops and amenities, jobs (I work in health care), with the possibility of renting a small house with a decent size garden. I won’t hold you to this. It will just give me a base to research my possibilities. Where would you choose to live in NZ? Thank you again. When I lived in NZ, I lived in Wellington (on the North Island) and loved it. But it doesn’t have the best weather. 😉 On the South Island, the biggest city other than Christchurch is Queenstown, but it’s expensive and also sees a LOT of tourists, so I’m not sure that would be my pick for where to live. I guess it depends on how small of a city you’d be willing to live in! Nelson is also nice. I’ve been doing a lot of research online, but I do value your opinion. I’ve come up with two towns/cities. Hamilton and Cambridge. Unfortunately since I don’t live in New Zealand (I love the country, but I’m actually American! ), I’m not the right one to ask any of those questions. I can’t speak to things like education or crime rate or jobs, especially in those cities since I have not spent much time in them. I’m sorry I can’t be of more help! I’m pretty sure NZ isn’t the first country in the world to grant its local sign language official status. Quite a few European countries had done so earlier – Sweden as long ago as 1981 – as well as Canada and the US. 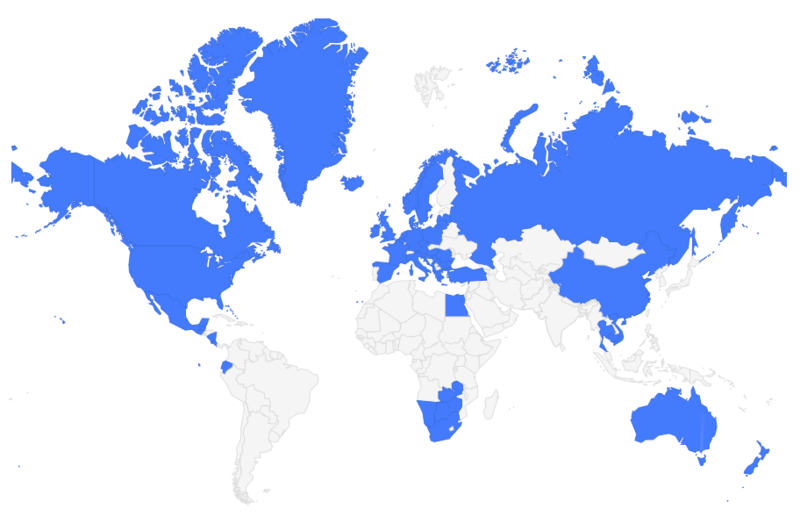 Of course, it’s good that NZ has joined the list. Omg what was this “The Takahe” picture? Never saw this animal before! Love the article and the blog, I hope someday get to know New Zealand! 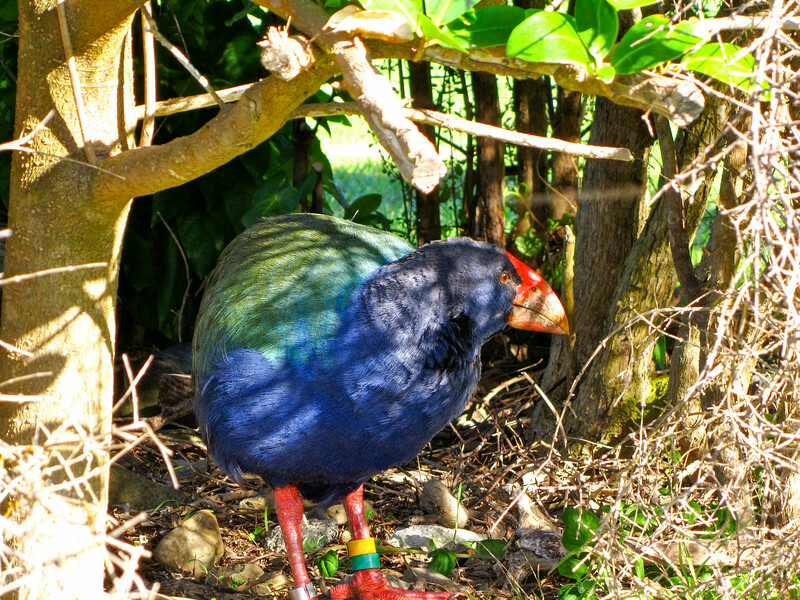 A takahe is a type of native New Zealand bird! They were actually thought to be extinct for decades, but it turns out they’re not! There are less than 300 of them, though. I’m going back soon and that won’t be the last. I love all those things about New Zealand, too! Thank you so much! This is really a detailed post about NZ! After reading your post, I really want to take a trip to NZ right now. What I like most in this country is that it has no snake (as you mentioned), I am so scare of them. Do NZ has other poisonous animals? Like poisonous insects? I think there’s one rare spider in New Zealand that’s poisonous, but other than that all the dangerous creepy-crawlies live over in Australia! Haha. No more 5 cent coins! I totally forgot about this! I am a born New Zealander and after 21 years living in Australia, I’m sick of it and going home! It’s going to be odd getting use to 10 Cents being the lowest coin as Australia still uses 5 cent coins. 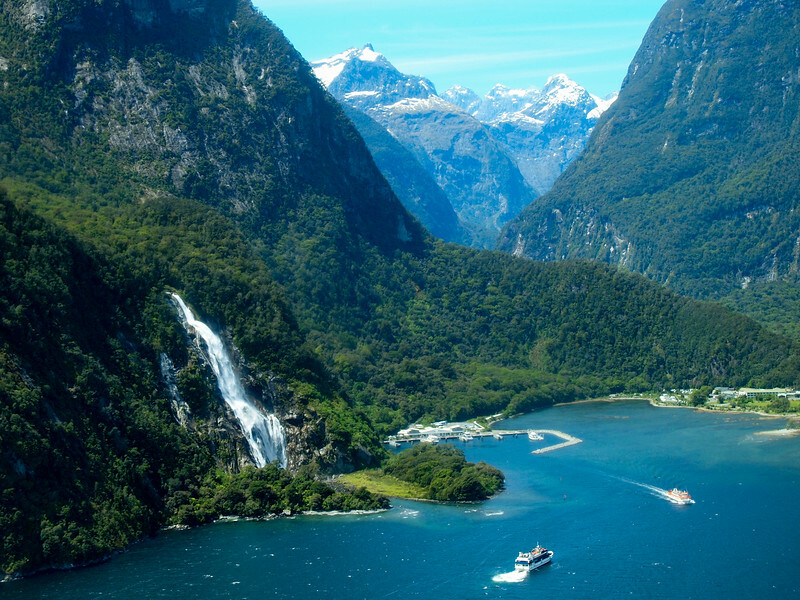 Thank you for writing all of this and I have to agree with you about Milford Sound. It’s a flightless bird native to New Zealand! Number 1 is wrong. They have katipo or redback spider. This was very interesting to me. I have never been to NZ and probably will never be there. However, my sister just got back from a visit to NZ and it sparked an interest in me. It sounds like a very lovely place to live besides being very beautiful. My sister went there for the second time because of all of the different birds that are there. Now I would like to know even more about NZ. Thank you for sharing the amount of information that you did. New Zealand has so many interesting birds! If your sister loves birds, no doubt she loved NZ even more!